During the 1930s infrared photography was regarded as being one of the wonders of the age. It was featured regularly across the pages of national newspapers, especially The Times, demonstrating its ability to cut through haze and show distant landscapes. 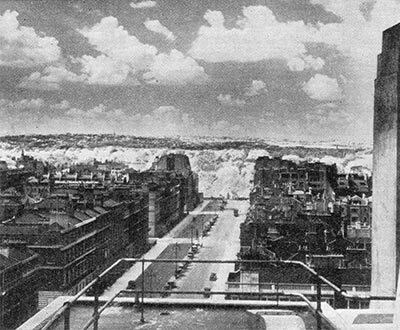 This was brought home to me while perusing a 1938 book called Byways of the BBC which included the photo above, showing the view north from the roof of Broadcasting House towards Regents Park. Including an infrared landscape was clearly quite a reasonable thing to do then. BBC hands will realise that this is before the extension, let alone the current additions, so such a view is probably not available now. I now find this photograph is also included in the 1932 book the BBC published for the launch of the then new Broadcasting House.